Do you have asbestos at home? Believe it or not many old Spanish properties may have asbestos and numerous people are unaware of this potential health hazard. Material on this subject acknowledged that the role of low-dose exposure in the development of MM (malignant mesothelioma) “remains controversial”, saying that one unresolved question was whether a threshold level exists below which cancer does not occur. However, even basic precautions regarding protection against asbestos inhalation are not used in many DIY renovations. This is not a trivial subject so always think of the worst possible situation and prevent rather than cure. First things first…What is Asbestos? In Spain asbestos is also known as “Amianto” or “Fibrocemento” but do not lower your precautions we are talking about asbestos, although it is true that now a new fibrocement product is available but they have replaced the asbestos fibre with fibreglass which converts the material innocuous but do check the reference of the material with the manufacturer just to make sure. Asbestos is the name of a group of highly fibrous minerals. It is found both as a natural component within soils and rocks, and within over 3,000 commercial products. Asbestos is a known human carcinogen (cancer causing substance), capable of causing severe health conditions including lung cancer, asbestosis and mesothelioma. Given that is it both naturally occurring and commonly found in building products, asbestos may be present in the air most of the time. 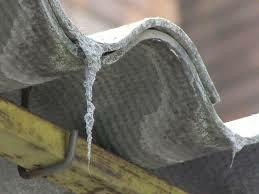 Being exposed to asbestos does not mean that you will develop health problems. Nearly everyone has been exposed to very low levels of asbestos at some time in their life. However, most people do not become ill from such exposures. People are more likely to experience asbestos-related disorders when they are exposed to high levels of asbestos, are exposed for longer periods of time, and/or are exposed more often. Smoking greatly magnifies the danger of breathing asbestos fibres. Asbestos-containing materials (ACM) are found in building products within many older homes. A material must be analysed by a certified, accredited laboratory in order to determine whether it contains asbestos. What types of products might contain asbestos? Here below is a list of products that may contain the dreaded material, however is more likely that only older materials fabricated before the 1970´s might be affected. The above list does not include every product that may contain asbestos. It is intended as a general guide to show some of the types of materials that may contain asbestos. What is required if you are buying a home with asbestos? If you suspect that there is asbestos in a home that you just purchased or if it is suspected that there might be the presence of asbestos material it is wise to obtain a written report from an architect or building engineer asking to summarize the inspection findings and also ask for written recommendations on how to get rid of the dreaded material. What should I do if asbestos is identified? Should you be so unfortunate as to have asbestos at home you must ask a certified company specializing in asbestos removal (there a few advertised in Google). Do not try to do it yourself is not worth the risk. A single particle of asbestos deposited in your lungs will remain there for a long time if not indefinitely and the risk of acquiring lung cancer will be present. It is best to obtain the help of certified company and let them do the job. 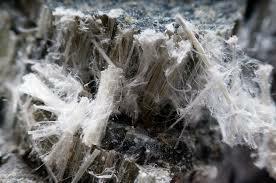 The likelihood of developing asbestosis, lung cancer and mesothelioma increases with the number of asbestos fibres that are inhaled, and it typically takes prolonged exposure to high levels of fibres to get these diseases. Although most experts don’t believe that prolonged exposure to small amounts of asbestos—and even large one-time exposures—are likely to cause significant health problems, minimizing exposure to asbestos is prudent. Although materials that are in good repair will not typically release fibres, they may do so if they’re disturbed or damaged. That’s why it’s generally best not to disturb any material that you know contains asbestos and is in good condition. (Be aware that you can’t tell if a material contains asbestos simply by looking at it. If there’s any possibility that it does, you should treat the material as though it were asbestos or have a sample of it analysed.) Also, just because asbestos is extremely durable, don’t assume that it isn’t susceptible to wear and tear. Known asbestos-containing materials should be inspected regularly for signs of damage. If damaged asbestos-containing materials are discovered, it may only be necessary to repair them not remove them entirely. A sealant, for example, can sometimes be used to encapsulate asbestos fibres, or an airtight enclosure can be placed over or around them. In some cases, however, the best course of action is to remove them completely. But, keep in mind, disturbing asbestos poses the greatest risk of releasing fibres and may not be safe if the job is performed improperly. In fact, improper removal can create a hazard where none existed before. To ensure that the job is done right, hire only a certified asbestos contractor.